Hair loss treatments for men and women require an approach that is unique to their individual condition. Male and female pattern hair loss called alopecia. Alopecia is the medical term used to describe the most common form of hair loss in both men and women. The usual areas of the scalp where hair is resistant to hair loss, is the sides and back of the scalp. At your consultation, Dr. Arthur Zacco and you will decide on an individual plan that is right for you. 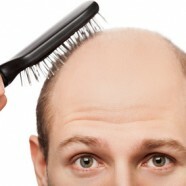 Hair is taken from the resistant areas and transplanted into the susceptible areas of hair loss. Once transplanted, these follicles retain their genetic coding/expression and continue to produce hair for the entire life of the individual. Transplanted follicles produce a natural look and grow for life. Your transplanted hair not only grows for life, it grays naturally with the rest of your hair. Other forms of hair loss treatments such as wigs, weaves, gels, and pills are not permanent and can be more costly over a period of years and some have side effects. Since methods other than hair transplantation are not permanent and produce a pre-occupation with hair loss, Dr. Arthur Zacco has opted not to offer them. Dr. Arthur Zacco focuses on Hair Transplantation as the only form of hair restoration. Female hair transplantation to be effective and natural appearing takes experience. Dr. Arthur Zacco has 20 years of experience and has devised hair transplant techniques that are especially helpful for women to regain confidence and of course a more youthful appearance. Please schedule an individualized confidential consultation with Dr. Arthur Zacco and don’t delay your permanent hair transplantation another day. For female patients alopecia can also be metabolic in origin and Dr. Arthur Zacco can provide you with an extensive metabolic work up covered by most insurances. Call today for more information. 919-615-0577.